The artichoke plant, cynara scolymus, is a thistle-like, herbaceous perennial with strong, prickly, deeply cut leaves (properly called bracts), and large terminal heads of violet, blue, or white flowers. It is grown for the flower heads, which are harvested before they bloom. Only the heart, fleshy base of the leaves, and tender portion of the stem are edible. Artichokes are native to southern Europe and northern, coastal Africa. Today, the majority of artichokes grown in the United States are the Green Globe variety (also called French or green artichokes), and they hail mostly from California. 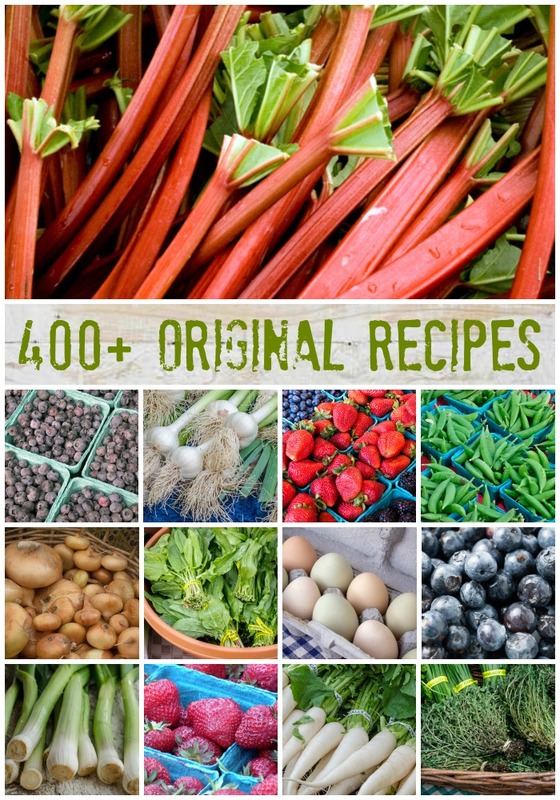 However, artichokes are also grown throughout most of the year on small farms in Washington and Oregon and are thus often available in Northwest farmers markets. 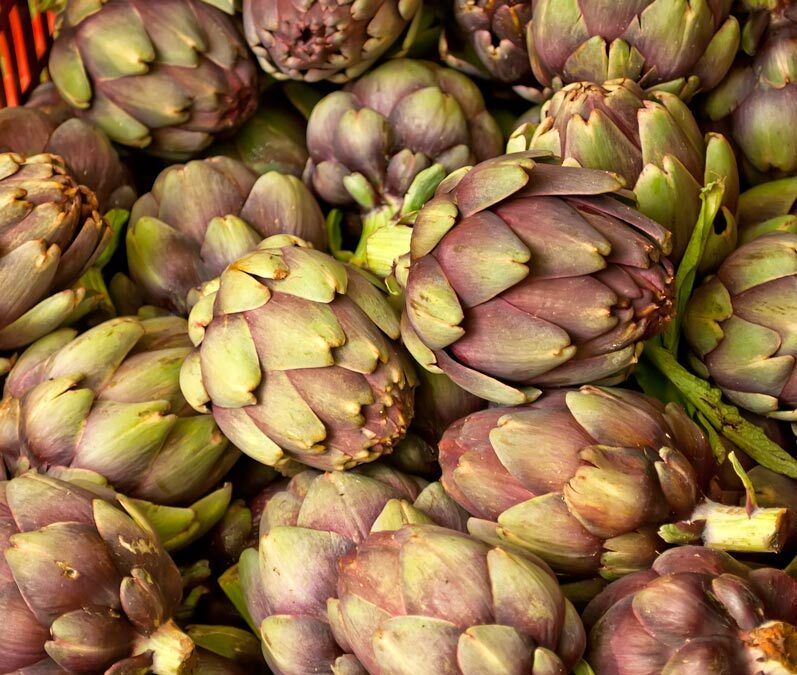 Local artichokes are usually more elongated in shape with dusty plum and olive green leaves. They are often offspring of the less commonly known romanesco artichoke from the Lazio region of Italy. Look for Baby Anzio, Big Heart, Campania, Chianti, Fiesole, Green Globe, King, Lyon, Mercury, Omaha, and Siena artichokes in Northwest markets. Oregon State University recommends planting artichokes anytime between August and November or April through June (protecting plants from frost when necessary). Artichokes prefer moist, well-drained soil, which Oregon has in abundance. 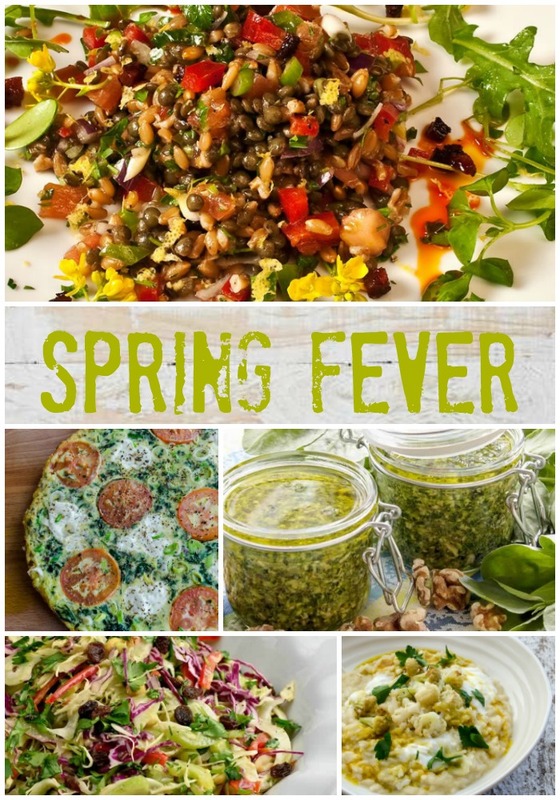 Spring (main crop) and fall (secondary crop). 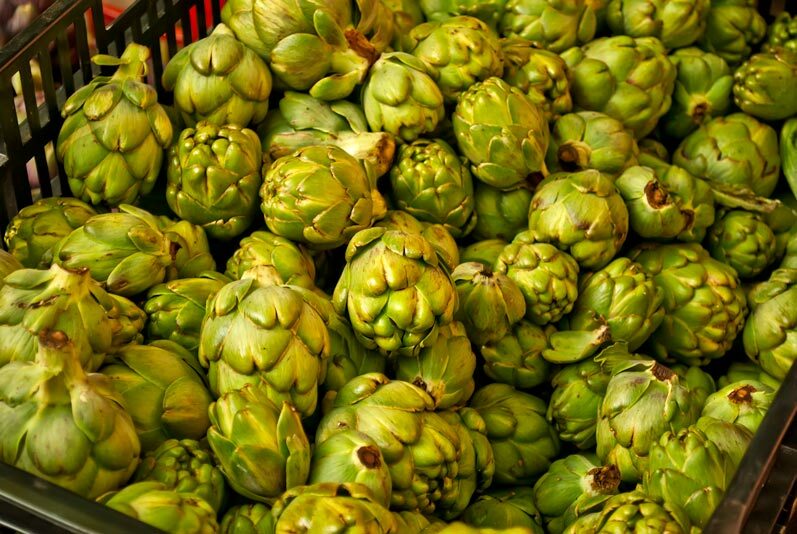 Fresh artichokes should be compact, firm, plump, heavy for their size, and either globular or conical, with fleshy, tightly clinging green leaves (bracts). Good color, with no browning on the leaves, is a good indicator of freshness. Over-the-hill artichokes have hard-tipped leaves that are opening or spreading. Leaves of over-the-hill artichokes are tough and woody when cooked and may have too strong a flavor. Avoid discolored artichokes. 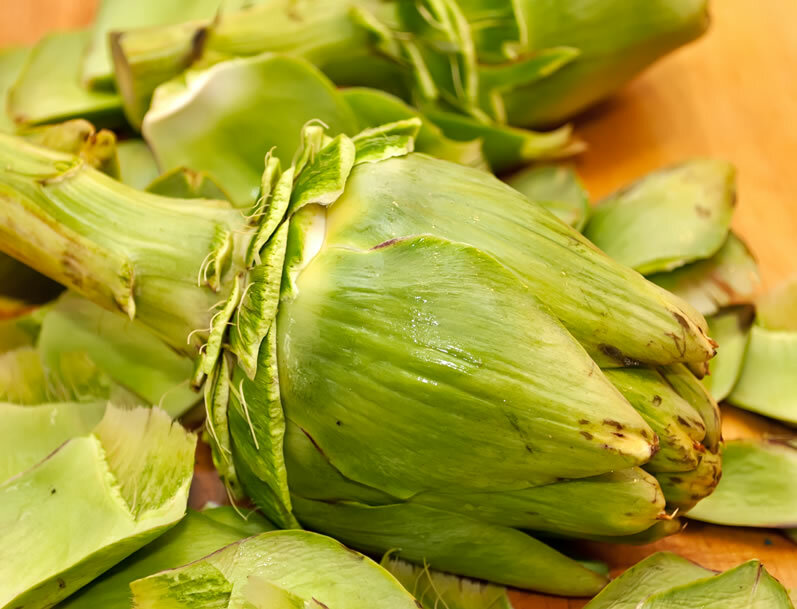 Sprinkle unwashed artichokes lightly with water, and seal in airtight plastic bags. 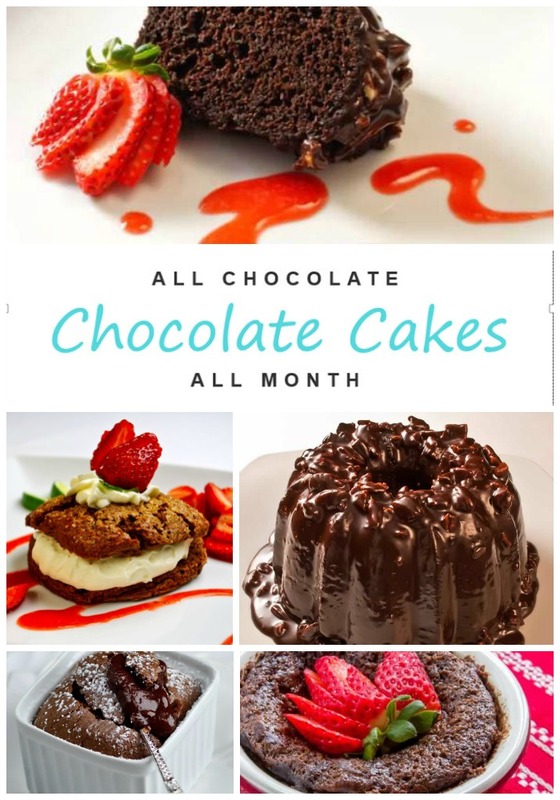 Refrigerate at 32 to 34F. Artichokes can be minimally prepared (through step 5) or trimmed all the way to the heart (through step 8). 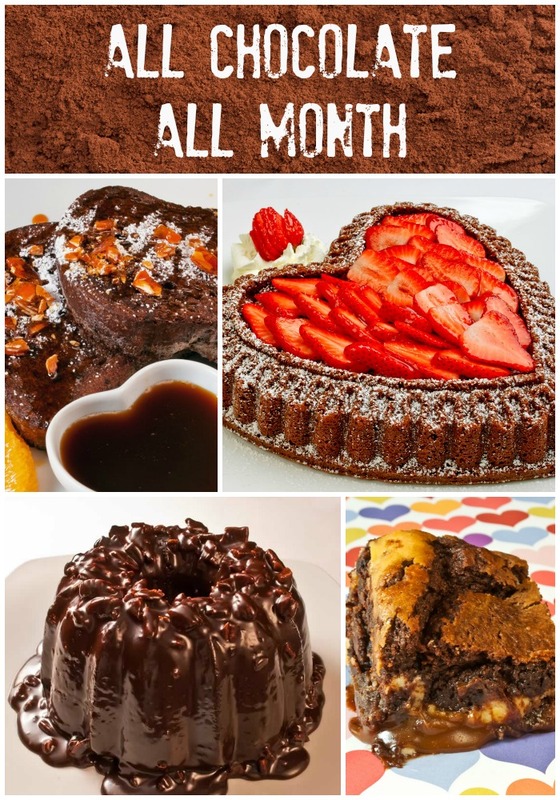 The preparation takes a little time but is not difficult. 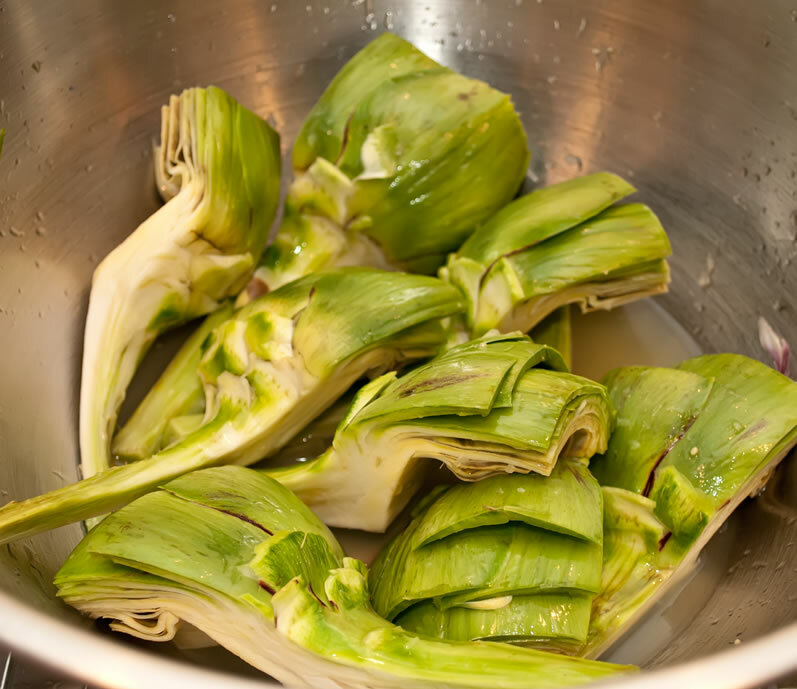 The important thing to remember is to prepare in advance a heavily acidulated ice water bath to plop the artichokes into as soon as they are peeled. This helps to prevent discoloration as the cut surfaces are exposed to air. In addition, you will need a very sharp French knife, small paring knife, and kitchen shears. Use caution as you begin to handle each artichoke as the leaves are armed with a sharp little tip. Step 1: Prepare lemon juice and coat cut surfaces as you go: Set a metal or glass bowl near the work surface and add the juice of 2 freshly squeezed lemons (½ cup). Juice an additional lemon and reserve that juice in case you need it. 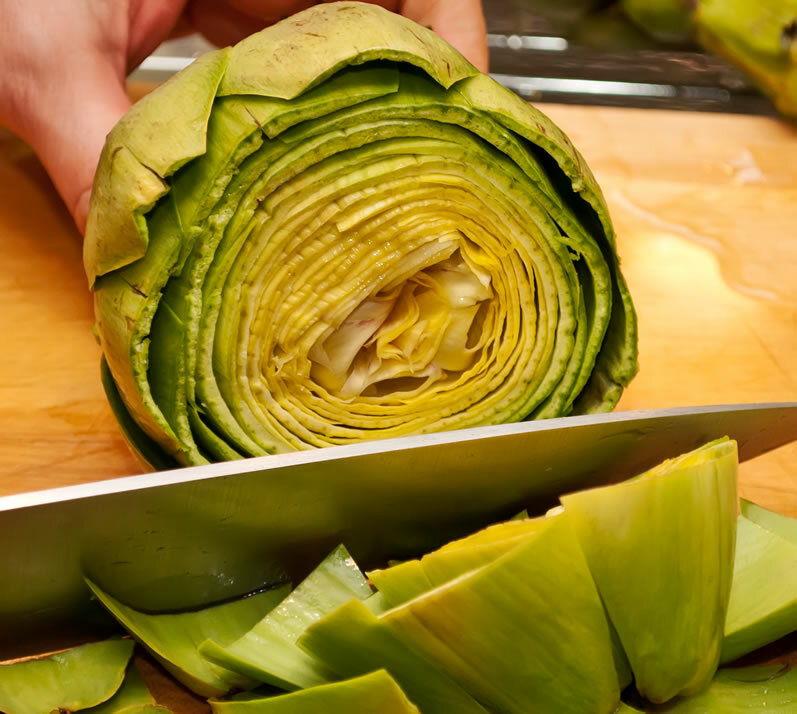 As you cut into the artichoke, immediate dip the cut portion into the lemon juice. Continue dipping into lemon juice (acidulate) as you complete the trimming. Step 2: Trim stem and lower leaves: With a small paring knife, remove ¼-½-inch of the bottom of the stem. Peel the entire stem and outer green from the bottom torn leaves. Acidulate the peeled surfaces. Step 3: Remove top: Lay the artichoke on its side on a stable cutting board. With a large French knife, slice 1½ inch from the top of the artichoke. Acidulate the cut surface. Step 4:Trim leaves: With a kitchen shears, trim the top of each remaining leaf by ½-1 inch. Acidulate the cut surfaces. Step 5: Remove choke, option 1 (for whole artichokes): Tear the center leaves from the artichoke. Using a sharp edged spoon, scrape out the fuzzy filaments, just to their base. Acidulate the cut surfaces. 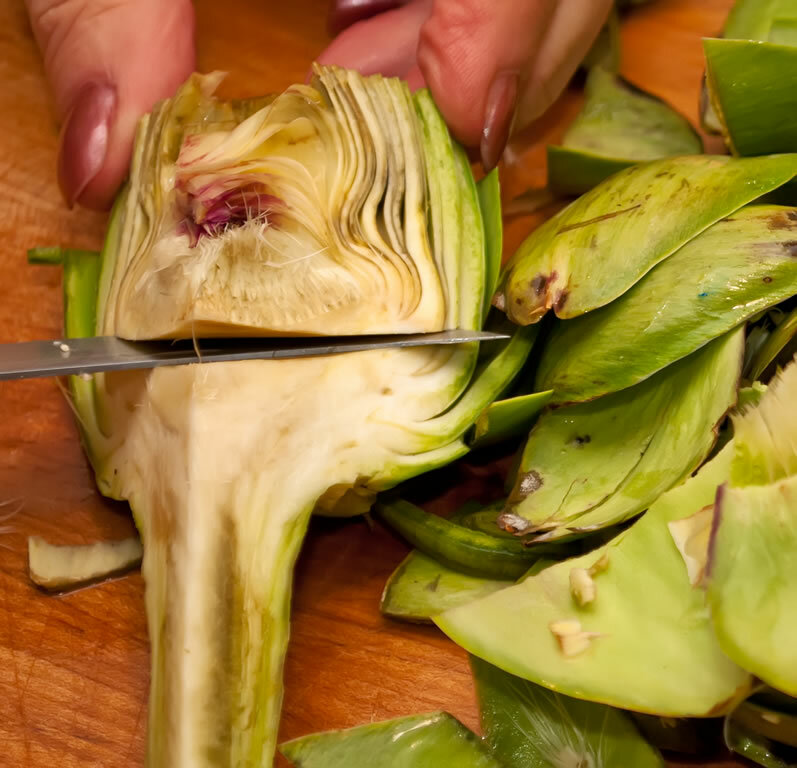 Step 6: Cut into quarters (optional): Cut the artichoke in half lengthwise through the stem. Acidulate the cut surfaces. 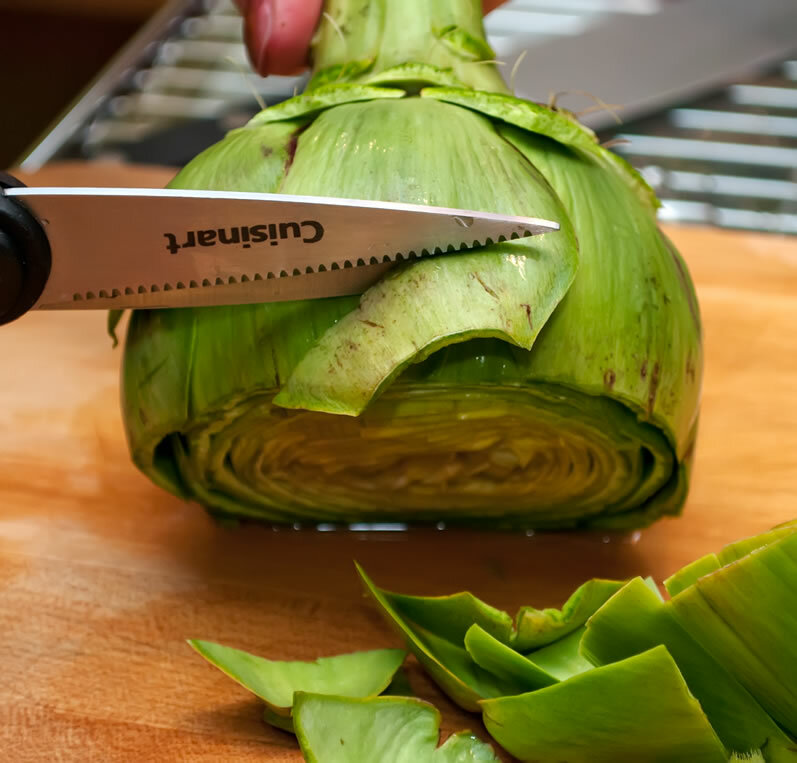 Step 7: Remove choke, option 2 (for quartered artichokes): with a paring knife, cut just under the base of the fuzzy choke, to 1-2-1-inch depth. Pull the choke from the artichoke quarter. Repeat with each quarter. Acidulate the cut surfaces. Artichokes can be steamed, boiled, grilled, or roasted. 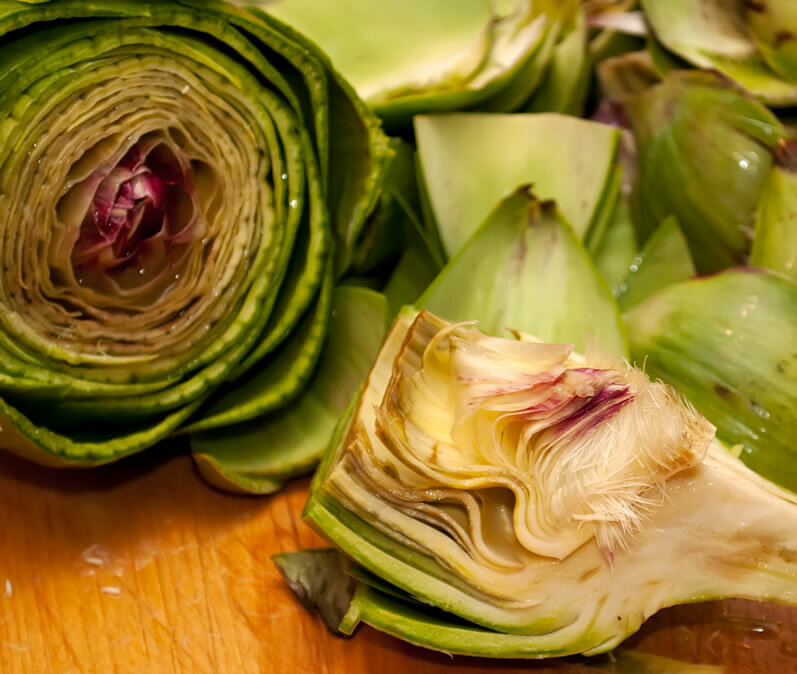 Artichokes are cooked through when you can easily pull off an outer leaf and pierce the heart with a fork. Cooking time will vary from 20 to 45 minutes, depending on the size of the artichokes and the method used. Recently, I have had great results steaming large artichoke quarters for 15 minutes, marinating them while still hot in a lemon-based vinaigrette for 1-48 hours (in the frig after 1 hour), and then roasting at 400° (with a little of the vinaigrette to keep them from drying out) for 15-20 minutes. Pre-steaming and then marinating is the only method I have found that drives the auxiliary flavors into the flesh of the artichoke. Marinating the uncooked artichoke will not create this result. There is no arguing with the time-honored way to eat an artichoke. It consists of pulling each leaf separately from the whole, dipping it in melted butter, scraping the underside of the leaf against your lower teeth to remove a tiny smidge of succulent goodness, and then setting aside the inedible portion of the leaf. 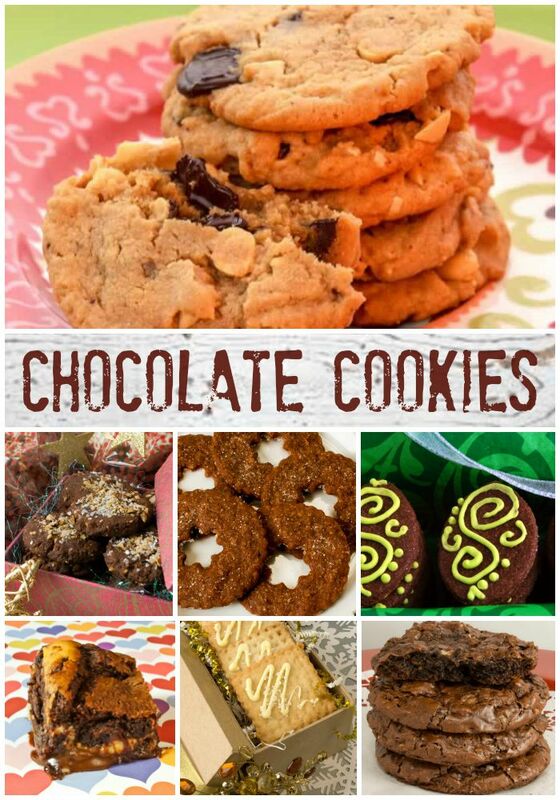 The deeper you go, the more tender the leaves and the more of each you can actually eat. The reward for your patience is the tender heart of the plant (along with the interior of the stem), which is usually cut into quarters before devouring with the remains of the butter. Even with the heart though, we’re only talking a few small bites. The ritual is a big part of the pleasure. Aioli, apricot, bacon, basil, bread, butter, capers, chives, cream, Dijon mustard, duck, eggs, garlic, hazelnuts, hollandaise, leeks, lemon, mango, mayonnaise, mint, mushrooms, olive oil, olives (black), onions, orange, Parmesan, parsley, pasta, pastry, pepper, pesto, pizza dough, potatoes, red pepper flakes, risotto, rosemary, sage, sorrel, thyme, toast, toasted bread crumbs, tomatoes, walnuts, and yogurt.